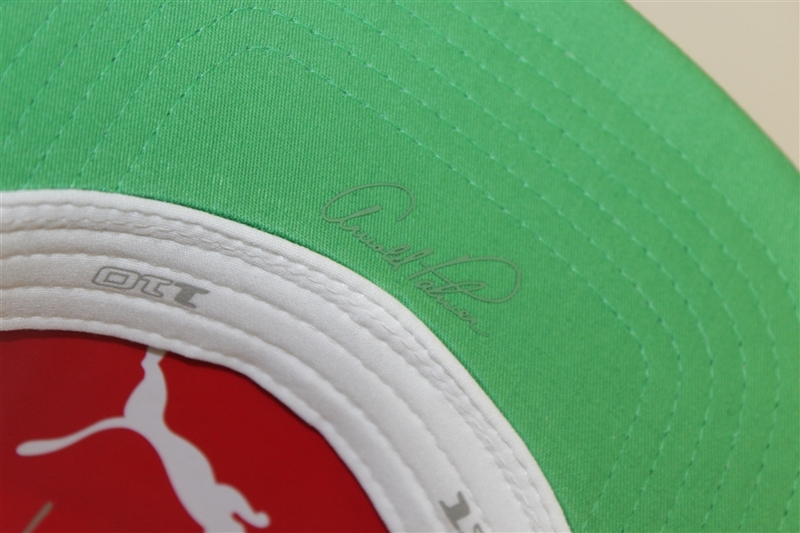 Rickie Fowler Signed 'Arnold Palmer Bay Hill' PUMA Ltd Ed Hat - Sold Out! Here is the Limited Edition Arnold Palmer Bay Hill "P" Puma hat that was sold at the 2019 Bay Hill Invitational, only to quickly sell out. 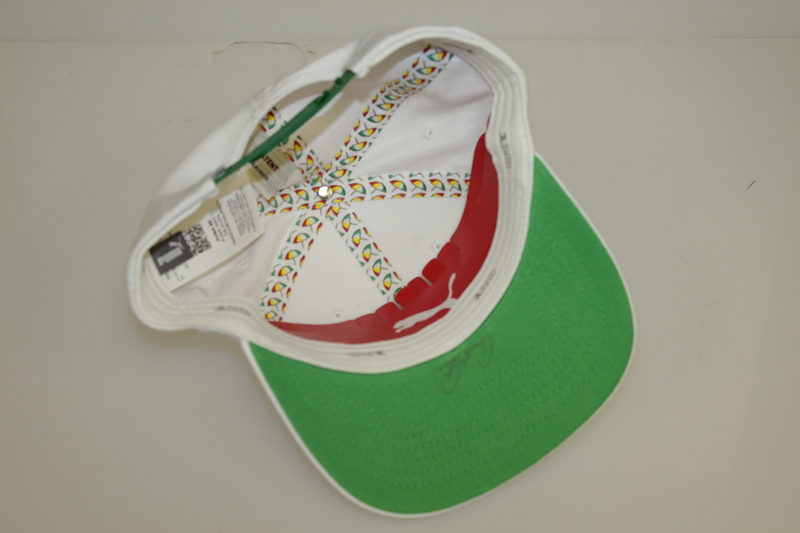 The merchandise then hit the secondary market and sold for much more. 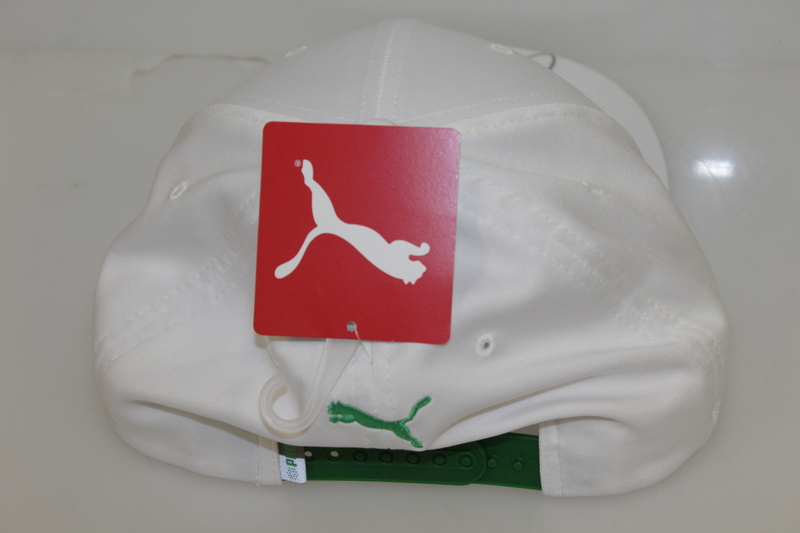 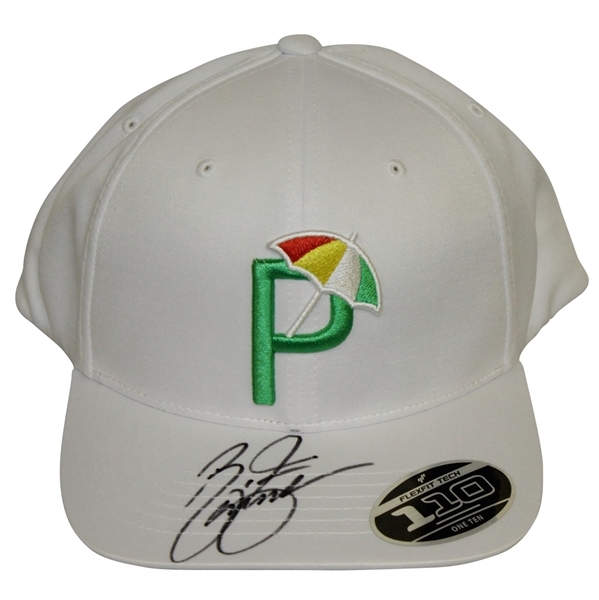 This Is the white version of the "P" Umbrella hat, signed by Rickie Fowler, Puma's #1 spokesman. 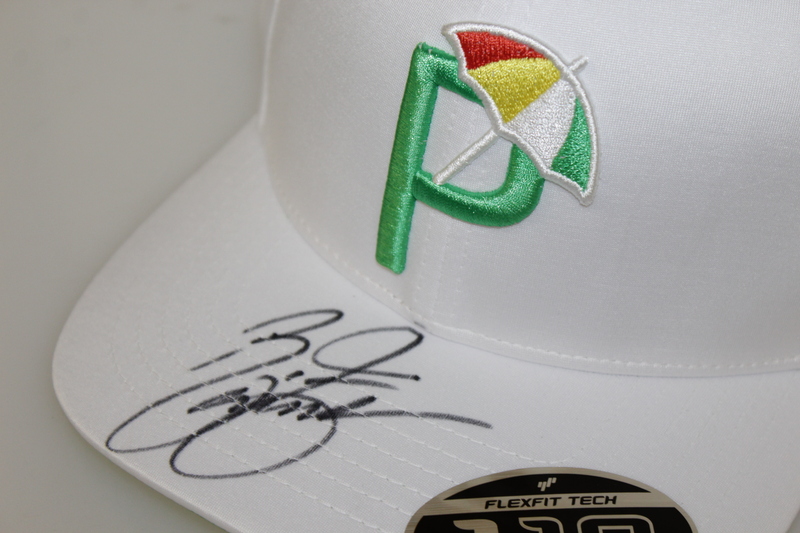 Fowler paid respect to "The King" in many ways visually at the 2019 tournament including his hat, shirt and shoes all donning the famous umbrella logo. The hat in this lot contains a large black sharpie signature from Fowler, as well as the original hat insert on the inside and the Puma tag/sticker on the outside.